The Swahili saying wapiganao ndiyo wapendanao meaning those who fight a lot love each other deep seems to be true of Diamond Platnumz and Zari’s relationship. A highly anticipated match between Tanzania and rivals Uganda seemed to reignite beef between the two. Tanzania thrashed Uganda 3-0, to qualify for AFCON 2019. 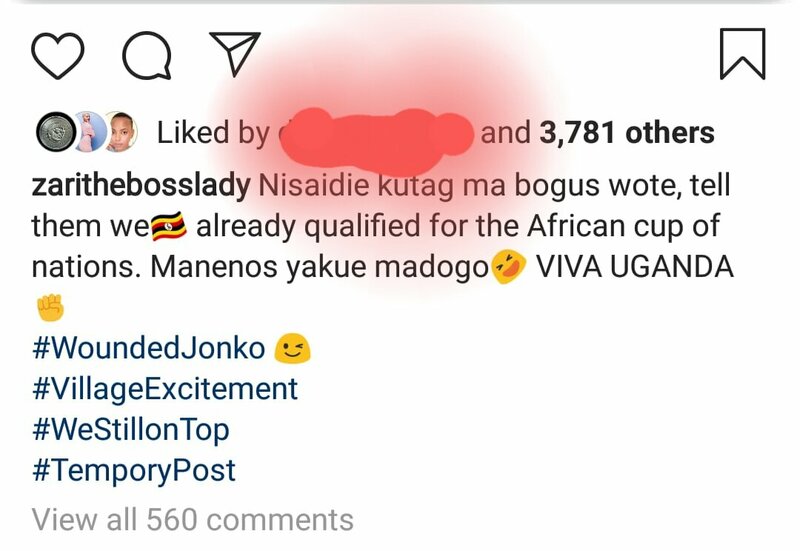 Diamond took to social media to mock the entire Uganda nation after their football team. IF WE CAN SIRE CHILDREN WITH THEM, CAN WE FAIL TO BEAT THEM IN FOOTBALL? TAG ALL THE UGANDANS ON THIS POST AND TELL THEM THE LION HAS SPOKEN. help me tag all the bogus. TELL THEM WE UGANDA ALREADY QUALIFIED FOR THE AFRICAN CUP OF NATIONS. VIVA UGANDA. Zari responded because the post by Diamond looked as if it was targeting her seeing as he has sired children with her.